The fact that in the fifteen years since 9/11 there has been no justice for the nearly 3,000 victims indicates that we do not have a system of justice, but a system of injustice. In this situation, the only remedy is a popular movement that puts pressure on the state to deliver justice. “Look back through history and you will see that big change comes from movements – not from politicians." Americans grow up believing that justice will prevail. This popular notion is based on a widely-held belief that the state investigates crimes properly, enforces the laws fairly, and delivers justice to society. This belief has been fostered in the minds of Americans for decades through popular television crime shows in which some agency of the government investigates unusual and heinous crimes and, in the final climactic scene, exposes the culprits. In the end, justice always prevails, at least in our imagination. Unfortunately, reality is not like that at all. In fact, you could say that in America we have a system of official injustice. The most blatant example of this official injustice is, of course, 9/11. Fifteen years after the worst case of mass murder in the United States, the criminal atrocity of 9/11 has gone uninvestigated and unprosecuted. Not a single one of the relatives of the nearly three thousand victims ever got their day in court. Every single one of the wrongful death cases from the 9/11 atrocity was settled out of court. With the supposed killing of Osama bin Laden in Pakistan by the Obama administration, Americans were led to believe that justice prevailed in the end, but this was a scripted fantasy just like the crime shows on television. 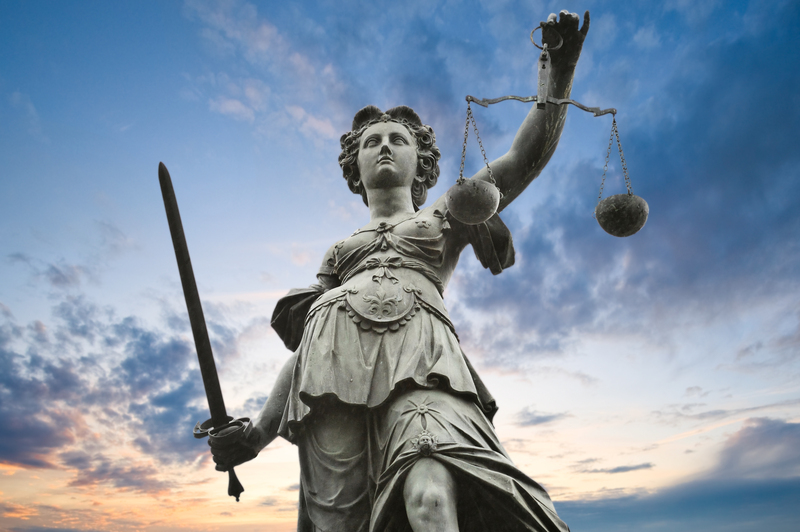 What kind of justice should we expect from the state? Justice is defined as the exercise of authority in maintenance of right; the due allocation of reward of virtue and punishment of vice. In reality, however, we find ourselves living under a system of injustice in which the authority of the state rewards vice and punishes virtue. The way the 9/11 victims' cases were handled in the federal system is a travesty of justice, an insult to the idea of justice. By not pursuing a criminal investigation of 9/11 the Department of Justice allowed the culprits to get away with mass murder – and much more. By accepting the false narrative about 9/11 we have empowered and enriched the real terrorists of 9/11. So, why has this gross travesty of justice been allowed to pass without criticism or correction? There is, of course, only one logical answer to this question. The official cover-up of the 9/11 crimes has passed through our system only because the powers behind 9/11 control the U.S. government and our judicial system. The playing field is completely controlled by the enemy. This is why it has been so difficult for grassroots groups calling for truth and justice, like I Am the Face of Truth, Architects and Engineers for 9/11 Truth, The 9/11 Justice Campaign, and other like-minded groups, to gain traction and obtain real results. I was, for example, on a conference call with a group called Lawyers for 9/11 Truth a few weeks ago in which the discussion was about how a case might be started that could lead to some legal discovery of the 9/11 crime. Fifteen years later, we have yet to see any justice for the victims of 9/11 coming from our politicians, the media, or our judicial system. So we ask, what will it take to obtain justice for 9/11? Clearly, what is needed is a popular movement in which concerned citizens put pressure on the state to investigate and prosecute the crimes of 9/11. As we can see from the successful protest against the oil pipeline at Cannon Ball, North Dakota, a popular movement that is focused and steadfast will prevail in the end. This is what it took to get the government to re-route the oil pipeline and this is what it will take to re-route our nation from a path of aggression based on the 9/11 deception to a path of peace and prosperity. 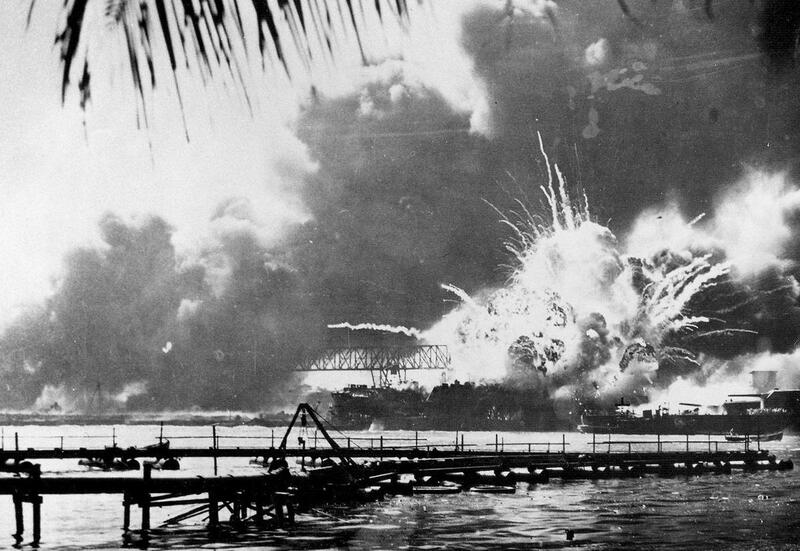 The Japanese surprise attack at Pearl Harbor, December 7, 1941, killed 2,403 Americans and left 1,178 wounded. The attack was not a surprise to some people in the president's circle that day. The U.S. Congress voted to go to war the next day. 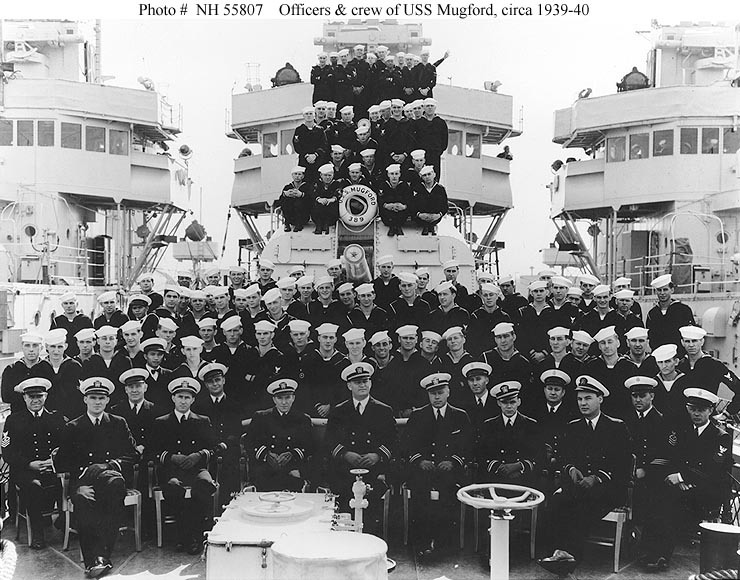 My mother's oldest brother, Arthur F. Johnson (second from left, seated) was senior officer aboard the USS Mugford, a destroyer he commanded to go to sea when the attacks began. 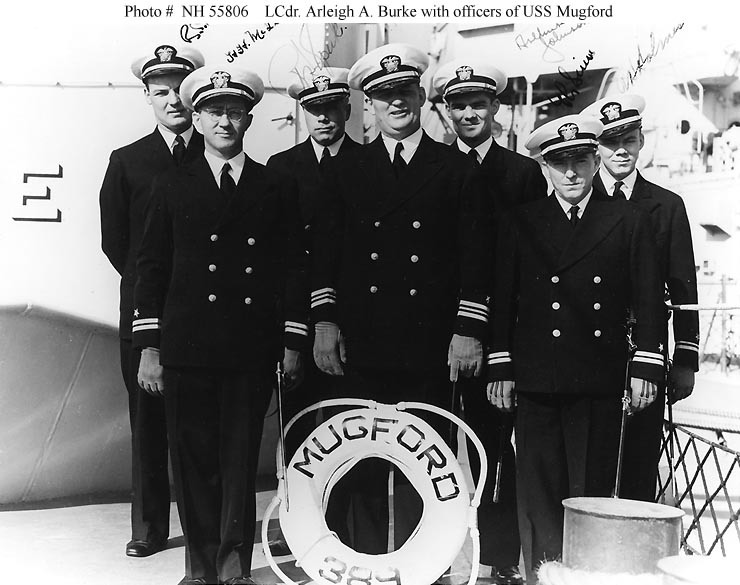 The senior officers of the USS Mugford. My Uncle Art is third from the right, standing behind Lt. Cdr. Arleigh A. Burke's left shoulder. 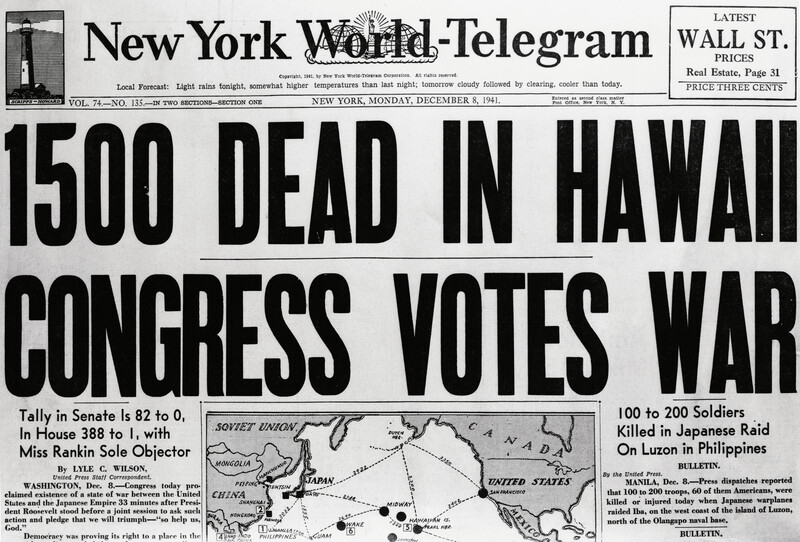 Seventy-five years ago, the United States entered World War II after the Japanese attack at Pearl Harbor. As President Franklin D. Roosevelt said the following day, "Yesterday, December 7, 1941, a date which will live in infamy, the United States of America was suddenly and deliberately attacked by naval and air forces of the Empire of Japan." Within an hour of Roosevelt's seven-minute speech, Congress passed a declaration of war against Japan bringing the U.S. into World War II. Although the warfighting ended four years later, the war is technically not over because there is still no peace treaty between the U.S. and Germany, seventy-one years later. Some might say, what difference does that make? Well, if your ancestral land and property was occupied by the Soviet Union, like that of the people of Königsberg and other Baltic Germans, you might appreciate the need for a formal peace treaty ending the war. It was agreed during the Potsdam Conference of July 1945 that the Soviet Union could occupy Königsberg and the surrounding area until a peace treaty was signed with Germany. That peace treaty has yet to be signed. Until that happens, Germany will remain a less-than-sovereign nation without a constitution in which the laws imposed by the occupying power remain in effect. The entire German population of Königsberg and East Prussia was expelled or murdered by the Red Army. The territory of East Prussia is Russian-occupied to this day. 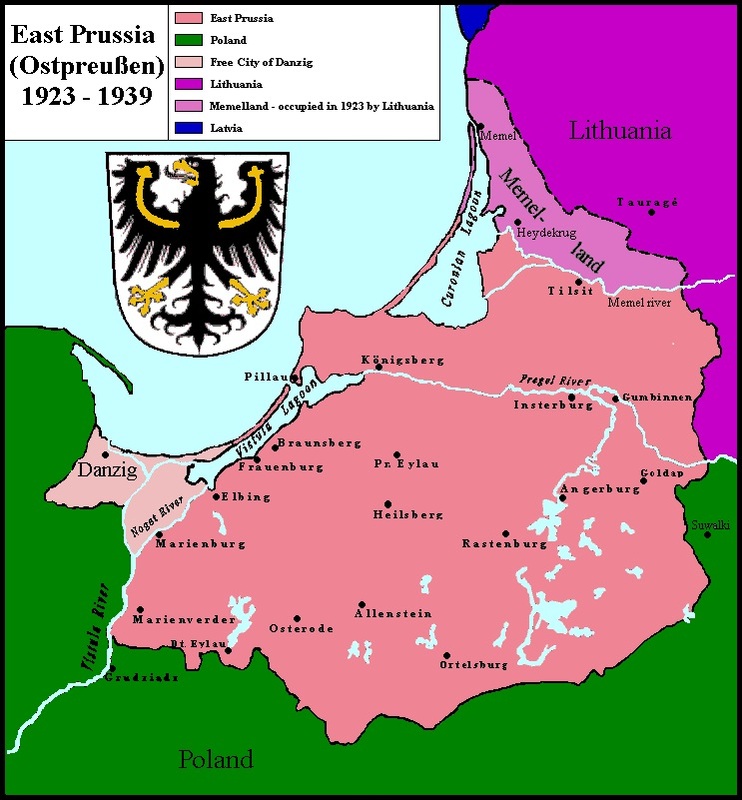 The status of East Prussia is yet to be settled with a peace treaty ending the war. At Potsdam, Britain and the United States also agreed to the forced expulsion by the Soviet Union of more than fifteen million Germans from their ancestral homelands in East Prussia, Pomerania, Silesia, East Brandenburg, Czechoslovakia, Hungary, and Yugoslavia. During the brutal ethnic cleansing of these lands more than two million ethnic Germans were murdered by the Red Army. The point is that Pearl Harbor started a war that is still not over, seventy-five years later. Sixty years after Pearl Harbor, the sudden and deliberate attacks of 9/11 brought the United States into a new war, the fraudulent War on Terror, which is still not over fifteen years later. In the same way that Pearl Harbor changed the world and affected the lives of an entire generation of Americans, the attacks of 9/11 have profoundly changed our world. The false-flag terror attacks of 9/11 were meant to compel U.S. politicians and public opinion to support the global War on Terror. With the election of Donald Trump to the presidency of the United States we can expect some changes in how the U.S. manages the War on Terror. Trump may decrease the warfighting effort in places where the U.S. is waging war under the rubric of the War on Terror, or he may increase the effort. It is, however, unlikely that Trump will completely end the War on Terror, although that is a possibility. The reason why it seems unlikely that President Trump will stop the war completely is because the War on Terror is a Zionist war agenda in disguise that is meant to go on and on. The people behind this fraudulent war have been greatly enriched and empowered by fear and warfighting, and they employ terrorism and deception to keep it going. Using false-flag terrorism, like the terror attacks of 9/11, the masterminds behind the deception force political leaders to respond in ways that benefit the real culprits. Since 9/11, for example, "Homeland Security" has cost taxpayers in the United States more than $715 billion, more than $6.74 million every hour. Think about that next time you stand in a long line at the airport waiting to pass through security. The War on Terror is a disguised Zionist (i.e. Israeli) war agenda prepared in the late 1970s by the Israeli prime minister Menachem Begin, Benzion Netanyahu and his son Benjamin, and the heads of Israeli military intelligence. The War on Terror construct was rolled out in "a propaganda offensive" at the Netanyahu Institute in Jerusalem in July 1979. Israeli military intelligence was also directly involved in creating "the enemy" for the War on Terror. Under the leadership of Ehud Barak, Israeli military intelligence agents trained the virulently anti-Western Islamist militia of Gulbuddin Hekmatyar in the arts of terrorism in Pakistan in the early 1980s. This is the same group that the Afghan-Arab leader Osama bin Laden was associated with in Pakistan, before the creation of Al Qaida. Bin Laden's first trainer, Ali Mohamed, was a Hebrew-speaking Egyptian. 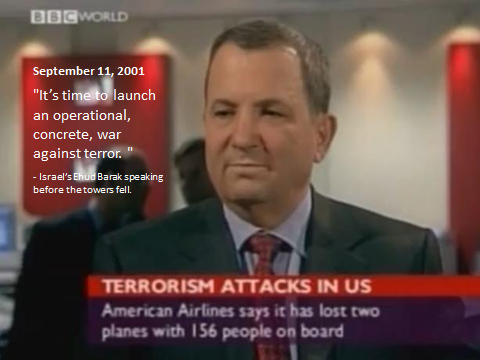 Ehud Barak was the first person to blame Osama bin Laden for the 9/11 attacks, which he did from the London TV studio of BBC World before the first tower had even fallen. Ehud Barak, the head of Israeli military intelligence, was responsible for training Osama bin Laden in the 1980s. On 9/11, Barak was the first to blame bin Laden for the attacks, telling the world that it was time "to launch an operational, concrete, war against terror" - before either tower had fallen. The War on Terror ideology was actively promoted by Zionist media outlets and political think tanks following the Jerusalem conference in 1979. 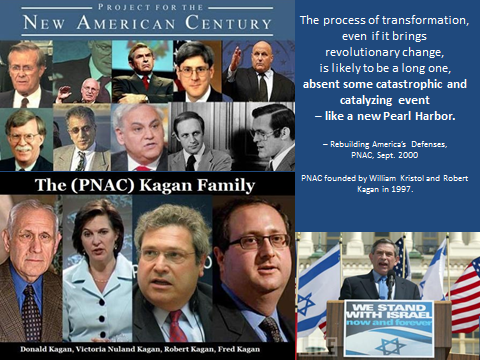 One of the Zionist think tanks promoting the global war agenda was the "Project for the New American Century" (PNAC), headed by Donald Kagan and his sons, Robert and Fred, along with William Kristol. In 2000, these men produced a paper that called for the U.S. to invade and occupy Iraq, among other things. The transformation process for the U.S. military envisioned by the Zionist Neo-Cons at PNAC was likely to be a long one, "absent some catastrophic and catalyzing event – like a new Pearl Harbor." Project for the New American Century (PNAC) was the driving force behind the war in Iraq. One year before 9/11 they called for a "new Pearl Harbor" to hasten the transformation of the U.S. military into the aggressive force they envisioned in the Middle East - waging war on behalf of the State of Israel. 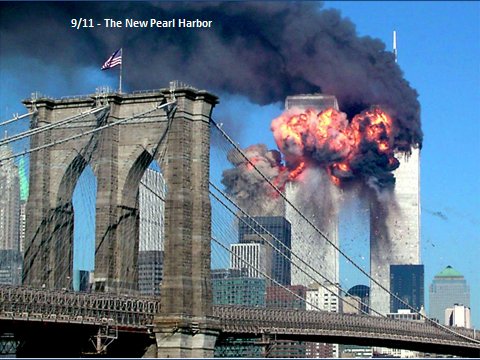 One year later, 9/11 was the event that kick-started the War on Terror. Having prepared the stage for twenty-two years, the War on Terror project was like a giant bonfire pyramid that had been built and was ready for the match to light it. 9/11 was that match. 9/11 was designed to be the spark that started the War on Terror. This is the main reason 9/11 was not investigated as a crime. A proper criminal investigation would have exposed the deception behind the false-flag terrorism and the War on Terror. The War on Terror requires that the controlled media and political class maintain the deception of 9/11 and other acts of false-flag terrorism. This is why it is highly unlikely that any politician will simply end the fraudulent War on Terror. That would be revolutionary. Most politicians are too much under the influence of those who benefit from the on-going wars to slam the door shut on the biggest fraud in the world. A popular movement is what is needed to end the War on Terror and that will only happen when enough people stand up and say that they refuse to accept the lies about 9/11. As long as the political class and the public accept the lies about 9/11 and the false narrative of the War on Terror, the culprits behind the terrorism are strengthened. The only way to weaken the power of the terrorist masterminds over our society and nations is to expose the deception and the people behind it. This is the essence of my Solving 9-11 books and the purpose of my work. How can we go forward as a nation, crafting policies and waging war based on nothing but a pack of lies about what happened on 9/11? How can we make America great again if we allow our nation to be governed by lies? I am sending the Solving 9-11 set of books and the following open letter to President-elect Donald Trump urging him to initiate a criminal investigation into the events of 9/11. My name is Christopher Bollyn. 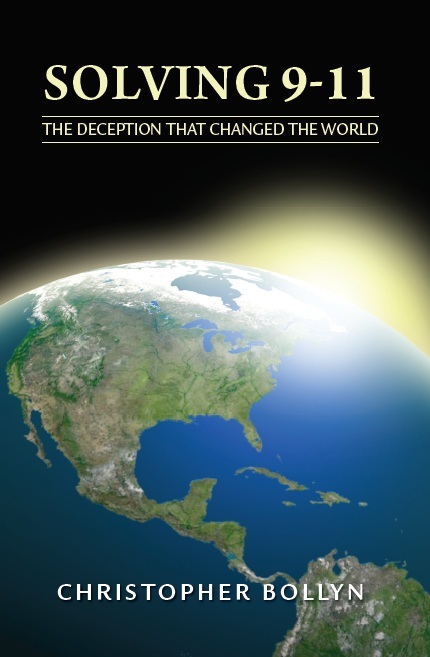 I am the author of Solving 9/11: The Deception that Changed the World. During my recent speaking tour across the United States, I was often asked about your position on 9/11 truth. The American people know that the government and media have covered-up the truth about 9/11. As president, many Americans hope you will help find the truth by carrying out a fully-fledged criminal investigation to determine who is really responsible for the terror atrocity that changed our nation. The events of 9/11 profoundly changed this country and brought us the “War on Terror” with costly and disastrous wars in Afghanistan and Iraq. The 9/11 Commission members have gone on record saying that the government officials lied to the commission. John Farmer, for example, senior counsel to the commission, wrote: "What government and military officials told Congress, the Commission, the media, and the public about who knew what when was almost entirely, and inexplicably, untrue." The American people are demanding a proper criminal investigation into the events of 9/11 to determine who is truly responsible for the terror atrocity that changed the world. We have every right to expect that from our government. President Trump, will you initiate a proper criminal investigation into the events of 9/11? When former German intelligence chief Eckhart Werthebach told me in 2001 that the 9/11 terror attacks would have needed “years of planning" and required the “fixed frame" of a state intelligence organization, it raised two obvious questions: Which state intelligence organization would plan and carry-out such a false-flag terror atrocity? And why? As the evidence I present in the Solving 9-11 set of books reveals, Israeli military intelligence is the prime suspect of being the state-run organization behind the atrocity that ushered in the fraudulent War on Terror. The men who have controlled Israeli military intelligence since the inception of the War on Terror ideology would, therefore, be chief among the suspected masterminds of the false-flag terrorism of 9/11. 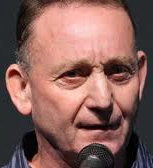 Major General Shlomo Gazit is one of the suspected masterminds. As former director of Israeli military intelligence (DMI, 1974-79) Gazit restructured the signal intelligence and cyber-espionage agency he oversaw in the wake of the 1973 Yom Kippur War. Following his term as DMI, Gazit went on to participate in the Jerusalem Conference on International Terrorism, the propaganda offensive that launched the War on Terror in July 1979. Shlomo Gazit (1926– ) Born in Istanbul, Turkey, Gazit immigrated to Palestine in 1933. During the early 1960s, Gazit was representative of Military Intelligence (MI) in Paris. After returning to Israel in 1964 (after JFK assassination), Gazit headed the Research Department of MI until 1967. Following the Six-Day War he became the first coordinator of Israeli government operations in the occupied territories. 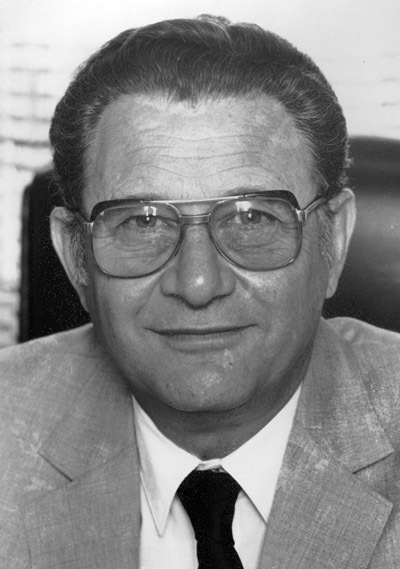 After the Yom Kippur War, Gazit was director of MI from 1974 to 1979. Seven years later, Gazit, the man who had reformed the super-secret agency that creates Israeli spyware, started a company that provided Israeli control software to scores of U.S. airports and Air Force bases. Gazit is the key person who connected Israel's military spyware with some of the airports involved in the events of 9/11. The War on Terror ideology was rolled out onto the world stage in a well-planned propaganda offensive in July 1979, headed by Menachem Begin, the notorious Zionist terrorist. Begin's propaganda event was hosted by the Jonathan (Netanyahu) Institute, an organization set up by Benjamin Netanyahu and his father for the purpose of promoting the War on Terror ideology. 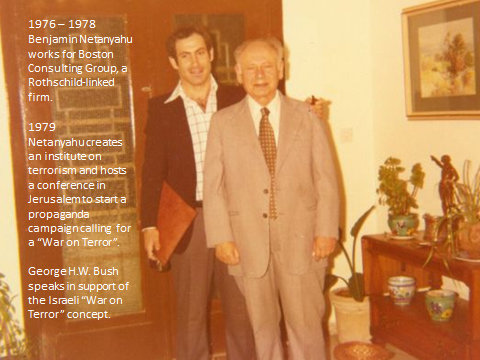 Benjamin Netanyahu and his father Benzion, born Mileikowsky in Warsaw, Poland, arranged the Jerusalem Conference with Menachem Begin in 1979 that heralded the beginning of the propaganda offensive behind the War on Terror. "The conference organizers expect the event to initiate a major anti-terrorist offensive," Ian Black wrote in the Jerusalem Postafter the first day of the conference. "The use of the military term 'offensive' is accurate," Philip Paull wrote in his 1982 thesis "International Terrorism": The Propaganda War. "Four former chiefs of Israeli military intelligence participated in the conference: Gen. Chaim Herzog, Maj. Gen. Meir Amit, Lt. Gen. Aharon Yariv, and Maj. Gen. Shlomo Gazit." The fact that the four former chiefs of Israel's Directorate of Military Intelligence attended the three-day conference indicates they were involved in the planning and preparation of this "propaganda offensive." Shlomo Gazit had just concluded a five-year term as DMI in February 1979. Israel’s DMI oversees Aman, an independent military intelligence body of the Israel Defense Forces which has its own special commando forces and field-reconnaissance unit, the Sayeret Matkal, and its own intelligence collection agency, Unit 8200. Unit 8200, the central military intelligence agency and largest unit of the Israeli Defense Force, is responsible for collecting signal intelligence and code decryption. In 1974, after Israel was caught off guard by invasions from Egypt and Syria in 1973, Shlomo Gazit was assigned to reform the intelligence agency, which he renamed Unit 8200. One of Gazit’s reforms made the spy agency completely departmentalized, so that various teams in the unit wouldn’t know what other teams were doing. "While Israel’s Mossad spy agency is as legendary as 8200 is anonymous, '90 percent of the intelligence material in Israel is coming from 8200,' says Yair Cohen, who served 33 years in 8200 – the last five (from 2001-2005) as its commander. 'There isn’t a major operation, from the Mossad or any intelligence security agency, that 8200 is not involved in.'" Richard Behar reported in "Inside Israel's Secret Startup Machine" in Forbes. 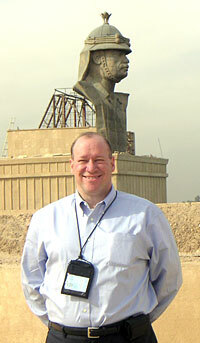 Yair Cohen was the commander of Unit 8200 when 9/11 occurred. Cohen is head of intelligence and cyber solutions at Elbit Systems Ltd., an Israeli company with a history of involvement in U.S. elections. Unit 8200 is comparable in function to the National Security Agency in the United States, an agency whose data collection Unit 8200 seems to have complete access to. Robert David Steele, a former CIA case officer, told Christopher Ketcham, author of "An Israeli Trojan Horse," that "Israeli penetration of the entire US telecommunications system means that NSA's warrantless wiretapping actually means Israeli warrantless wiretapping." Since the late 1990s, federal agents have reported systemic communications security breaches at the Department of Justice, FBI, DEA, the State Department, and the White House. Several of the alleged breaches, these agents say, can be traced to two hi-tech communications companies, Verint Inc. (formerly Comverse Infosys), and Amdocs Ltd., that respectively provide major wiretap and phone billing/record-keeping software contracts for the U.S. government. Together, Verint and Amdocs form part of the backbone of the government’s domestic intelligence surveillance technology. Both companies are based in Israel – having arisen to prominence from that country’s cornering of the information technology market – and are heavily funded by the Israeli government, with connections to the Israeli military and Israeli intelligence. The Jerusalem Conference on International Terrorism in July 1979 is the event that marks the birth of the fraudulent War on Terror. Philip Paull, who studied the propaganda offensive that began with the conference concluded, "The entire notion of 'international terrorism' as promoted by the Jerusalem Conference rests on a faulty, dishonest, and ultimately corrupt information base." The fact that Menachem Begin, the prime minister and founder of the Likud party, headed the committee that organized the conference and that four former directors of Israeli military intelligence participated, indicates that this deceptive propaganda offensive to push the War on Terror stratagem had been planned at the highest level of the Israeli government and military intelligence. 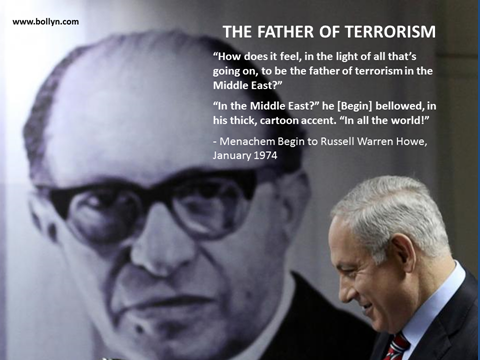 "The Father of Terrorism" Menachem Begin was the Israeli prime minister who arranged the 1979 propaganda offensive behind the War on Terror. 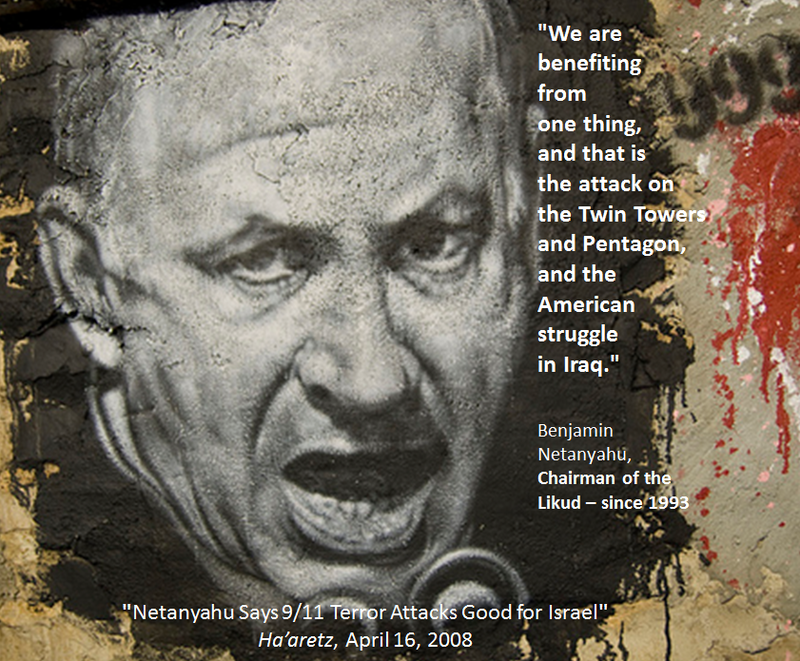 Since 1979, Benjamin Netanyahu has been the leading advocate of the War on Terror. It is also clear that the Jerusalem conference was just the beginning of the Zionist war agenda that we know as the Global War on Terror. In the years following the conference, Benjamin Netanyahu produced a series of books in which he called for the United States and its allies to deploy their militaries in the Middle East to wage war against "terrorist" groups and the nations that host them. The Israeli plan to make the War on Terror operational called for an act of catastrophic terrorism to occur in the United States. A spectacular act of terrorism would be needed to sway political and public opinion behind supporting a massive U.S. military intervention in the Middle East. 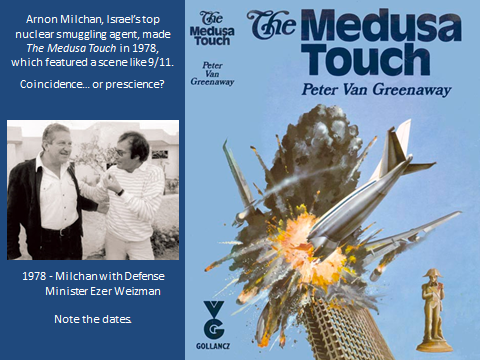 As we can see from The Medusa Touch, a 1978 film made by Arnon Milchan, a senior Israeli intelligent agent, the idea of crashing large passenger aircraft into high-rise towers was evidently running through the minds of the Israeli terrorism planners prior to the Jerusalem conference. Israeli intelligence agent Arnon Milchan's first film featured a passenger aircraft flying into a high-rise tower - in 1978. The fact that the Israeli plan was to attack the tallest towers in New York City was then leaked by Isser Harel, the former spymaster and head of the Mossad, in comments he made in 1980 to Michael Evans, an American Zionist. With the understanding that an Israeli plan was in the works to launch the War on Terror by using aircraft to attack high-rise towers in New York City, it is very interesting to look at what Shlomo Gazit did after he retired as director of Israeli military intelligence in 1979. After leaving his position as DMI, Shlomo Gazit moved to Boston, where he was a visiting fellow at Harvard's Center for International Affairs for one year. As The Harvard Crimson reported in October 1979, "Major General Shlomo Gazit says he left his post as head of Israeli Military Intelligence to come to Harvard because 'I felt tired and felt in urgent need for recharging my batteries.'" Gazit left Harvard in 1980 and returned to Israel, where he became president of Ben Gurion University from 1981-1985. He also served as the director-general of the Jewish Agency from 1985-1988 and as a senior research fellow at the Jaffee Center for Strategic Studies at Tel Aviv University from 1988. What is most interesting is that in 1986, Shlomo Gazit co-founded (with Simcha Ohrenstein) a company called Transtech Control Ltd., which develops and markets control and monitoring software systems for airports. Transtech offers products for airfield visual navigation aids and airfield operational elements. The company provides software and services to airports worldwide. Transtech’s headquarters and R&D facilities are located in Herzliya, Israel. Gazit is the chief technology officer for the company, responsible for research and development of the software the company provides. 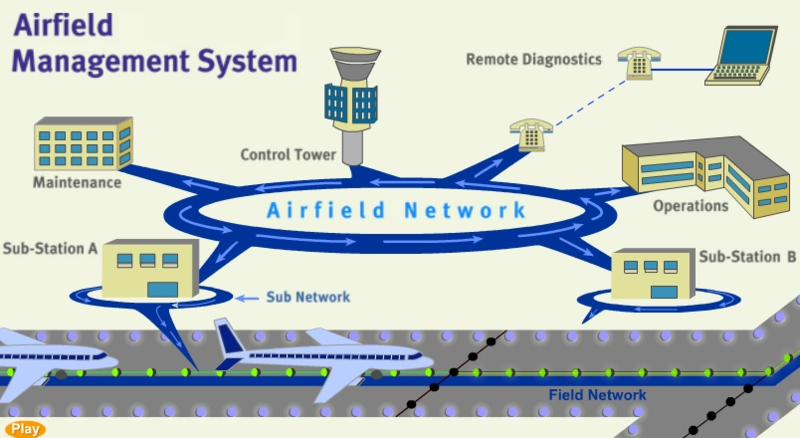 Transtech Control Ltd. owns two subsidiaries: Transtech Airport Solutions Inc., in Windsor, Connecticut, which oversees customer technical support, sales, and marketing; and Calsys, located in Ashkelon, Israel, which develops the distributed airport radar. When Transtech Control was founded by Ohrenstein and Shlomo Gazit (the company's CTO) in 1986, most people told them that a small Israeli company had no chance to break into the extremely conservative US airport control market. Even today, the industry is dominated by just a few giants. Ohrenstein and Gazit ignored their critics, however, and today - 15 years on - Transtech's control systems can be found in 120 airports across the world, including Beijing and JFK, San Francisco, Denver and LA. "It's really a big breakthrough to have a company from Israel controlling so many airports," says Ohrenstein, 53. "We've become a world leader in this niche." As Chief Technology Officer and the Vice President for Research & Development, Gazit is the person who connected the agency that produces spyware Israeli software to the computer networks at scores of airports across the United States, including critical U.S. military bases, in 2001. Transtech’s client list in 2003 (the earliest list available online) shows that the Israeli control software was being used at dozens of U.S. airports, civilian and military. Among the airports listed in 2003 are a few noteworthy ones: Newark, Holloman Air Force Base (AFB), Tinker AFB, Hill AFB, Davis Monthan AFB, Fort Hood Airport, Edwards AFB, Seymour Johnson AFB, Otis AFB, Little Rock AFB, Fort Knox, Pope AFB, Johnstown Airport, Altus AFB, Fort Bliss, Westover AFB, and Pease AFB. The fact that the Transtech control software running on the computer networks of these airports came from an Israeli spymaster who had managed the military intelligence agency that creates spyware leads me to think that the software he provided had secret spyware functions which were exploited on 9/11. As a 2005 FBI report states: "Israel has an active program to gather proprietary information within the United States. These collection activities are primarily directed at obtaining information on military systems and advanced computing applications that can be used in Israel’s sizable armaments industry." A key Israeli method, warns the FBI report, is computer intrusion. What better way to gain access to a computer network than to have your own spyware running on it? 9/11 is a most peculiar event in U.S. history. Although the terror atrocity profoundly changed the nation and the world, it remains an unsolved crime that is not even studied or analyzed as a subject at American universities and schools. Rather, most academic institutions in the United States simply accept the now disproven government/media version of events and try to make sense of our recent history working from an utterly false understanding of what really happened. So, why do American colleges not offer courses of study devoted to analyzing the events of 9/11 and its consequences? Why is the event that changed our history not a subject of research at U.S. universities? To my mind the answer is obvious. If college students across the nation were to investigate the events of 9/11 it would open up to discussion and analysis the subject of what really happened, something the government and media have avoided for fifteen years. If 9/11 research were being done at American universities, one of the subjects that would have to be dealt with would be Israel's connection to 9/11 and the fraudulent War on Terror. BEFORE THE TOWERS FELL ON 9/11 Israeli commando leader Ehud Barak blamed Osama bin Laden and called for the U.S. to begin an operational War on Terror. On 9/11, the first person to blame Osama bin Laden and Al Qaida for the atrocity was Ehud Barak, the former Israeli chief-of-staff and commander of Israel's covert commando force, the Sayeret Matkal. Barak laid the blame on Osama bin Laden during an interview on BBC World, the largest English speaking television network in the world, which ensured that the English-speaking world was given the culprit's interpretation that what they were seeing was an act of Islamic terrorism - before the towers even fell, or more accurately, were demolished with explosives and super-thermite. Although Barak's analysis was presented to the world before any evidence from the crime could even be examined, his seemingly impromptu analysis stuck and became the official version. The Israeli version was adopted by President George W. Bush and presented to the world by the U.S. president on 9/11. But, how did George Bush know what to say about 9/11 when nothing was known about who was behind the atrocity? How did Bush's comments fit so neatly into the Israeli military's position, as articulated by Ehud Barak? The reason why George Bush accepted the Israeli interpretation of 9/11 is because his spokesman was Lawrence Ari Fleischer, who had very close ties to Israel. Not only was Fleischer a dedicated Zionist, his older brother was the president of an Israeli-owned company, owned and controlled by Israeli air force veterans, one of whom was a business partner in a company with Ehud Barak. So, by simply talking with his brother on the phone, Ari Fleischer would be in contact with an Israeli network, based in New Jersey, that included Ehud Barak. The following photographs and captions explain the relationship between Ari Fleischer in the White House and Ehud Barak, a prime suspect of being a master planner of the 9/11 atrocity. September 11, 2001 - President George W. Bush was visiting the Emma E. Brooker Elementary School in Sarasota, Florida, when news of the attack on the World Trade Center broke. 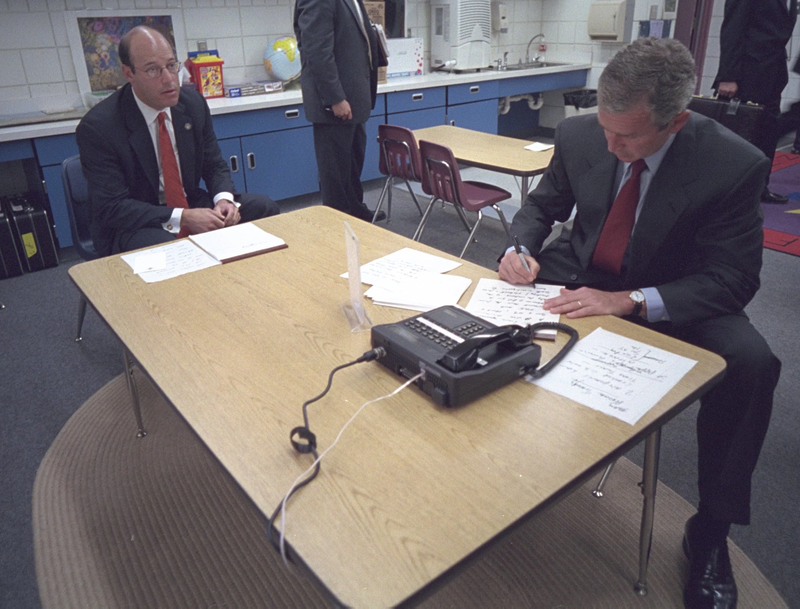 While still at the school, Bush and his Press Secretary Ari Fleischer began preparing the president's address to the nation. But how, at that early stage, did they know what to say? Fleischer seemed oddly calm, in spite of the terror atrocity, as he helped the president craft his comments to the nation. How did Fleischer know what the president should say when virtually nothing was known about who was behind the crime? Bush seems concerned and troubled, but not Fleischer. while the Jewish soul stems from holiness." he himself is the purpose, since the substance of all [divine] emanations was created only to serve the Jews." 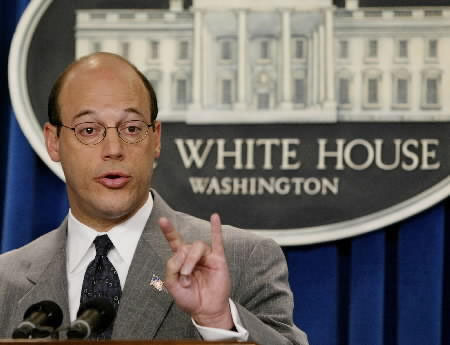 While Ari Fleischer served as White House spokesman from 2001 through 2003, his brother worked for a company headed by Israeli military intelligence agents. 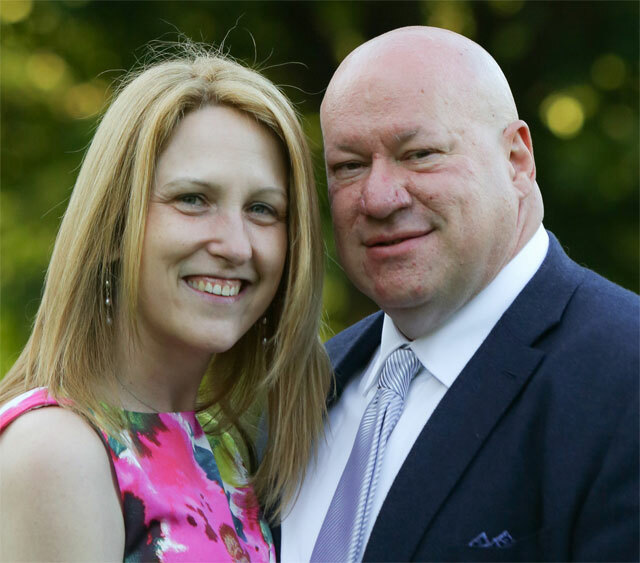 Ari Fleischer's older brother Michael Paul Fleischer has been president of the Israeli-owned Bogen Communication International, Inc. of Ramsey, New Jersey, since 1997. Bogen's product line includes sound processing equipment. Through its European operations (Speech Design GmbH, a German company with subsidiaries in Switzerland and Israel) it develops, manufactures, and distributes voicemail systems as well as unified messaging digital voice-processing systems. In 1996, a manufacturing subsidiary, Speech Design (Israel) Ltd., began production of some of Speech Design's product line in Israel. The Israeli-owned Bogen Communications specializes in voicemail systems. BOGEN'S NEW BOSS - The Israeli Air Force veteran Yoav Stern became Bogen's Co-chief Executive Officer and Co-president of Bogen Communications International Inc. in 1995 when it was acquired by the Israeli-owned company, European Gateway Acquisition Corp., where Stern was Co-chief Executive Officer. Stern served in the Israeli Air Force for ten years as a pilot, Avionics Systems Officer, Commander of Operational Training Unit, and Deputy Squadron Commander. Stern was involved in management and operations of highly advanced avionics and aerospace technologies. He spent 20 years in reserve services in the Israeli Air Force. 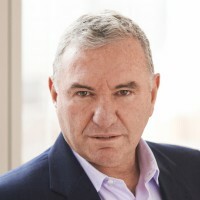 Yaron Eitan was Chairman of Bogen Communications as well as President and Chief Executive Officer of its parent company, Geotek Communications. 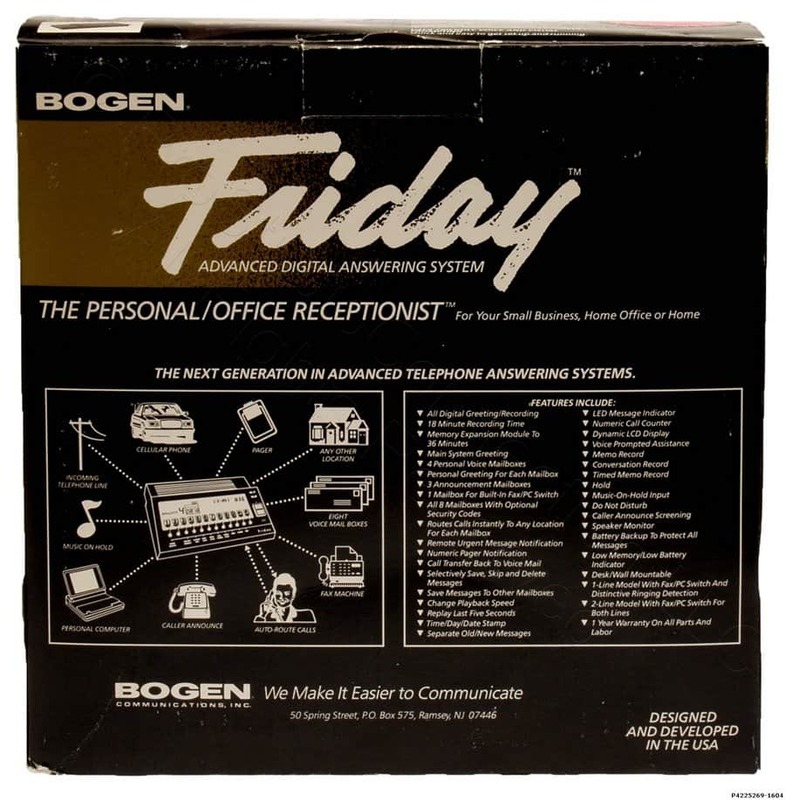 Bogen Communications develops, manufactures, and markets telephone voicemail systems as well as unified messaging digital voice-processing systems. 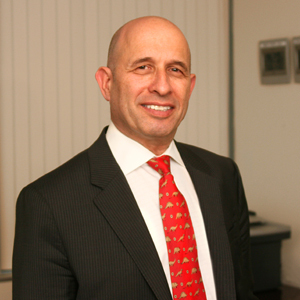 In 1998, Eitan founded Selway Partners, a technology-sector holding company, which was sold to SCP Partners in 2002, at which time Eitan became one of the partners of SCP Partners. Eitan served in the Israeli Defense Forces for six years, where he reached the rank of Major. EHUD BARAK the former Israeli prime minister, defense minister, and chief-of-staff, joined the Pennsylvania-based SCP Partners in 2001. 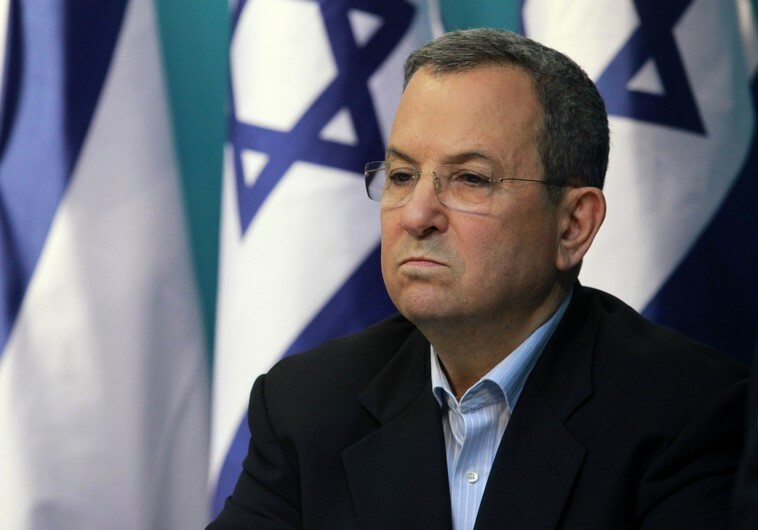 Barak was an SCP partner from 2001 until his nomination to become Minister of Defense and Deputy Prime Minister of Israel in June 2007. So, you can see that Ehud Barak came to the United States in early 2001 and joined SCP Partners, where Yaron Eitan was a key player, becoming a partner in 2002. Among other things, the SCP Partner firm was involved with companies that made nano-aluminum, one of the ingredients of super-thermite. Yaron Eitan was involved in different Israeli business ventures in the United States, one of them being Bogen Communications, a provider of voicemail systems. He was chairman of Bogen in 1997, when Ari Fleischer's older brother, Michael, was made president of the company. 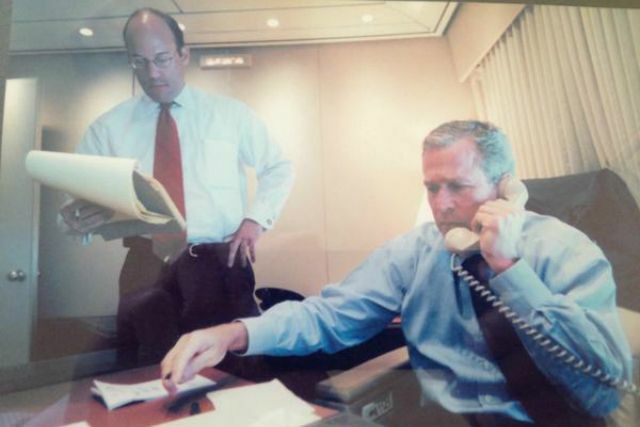 Three years later, Ari Fleischer became spokesman for President George W. Bush, where he served for about two-and-a-half years, from the time Bush entered the White House through the events of 9/11 and the illegal U.S. invasion of Iraq in early 2003. By the summer of 2003, shortly after Bush gave his "Mission Accomplished" speech, Ari Fleischer was ready to leave his position at the Bush White House. Fleischer's job as Israel's point man "interpreting" 9/11 and the fraudulent War on Terror was done. THE SPOILS OF WAR - The Israeli agent Michael P. Fleischer went on to serve as the head of Private Sector Development in occupied Iraq. 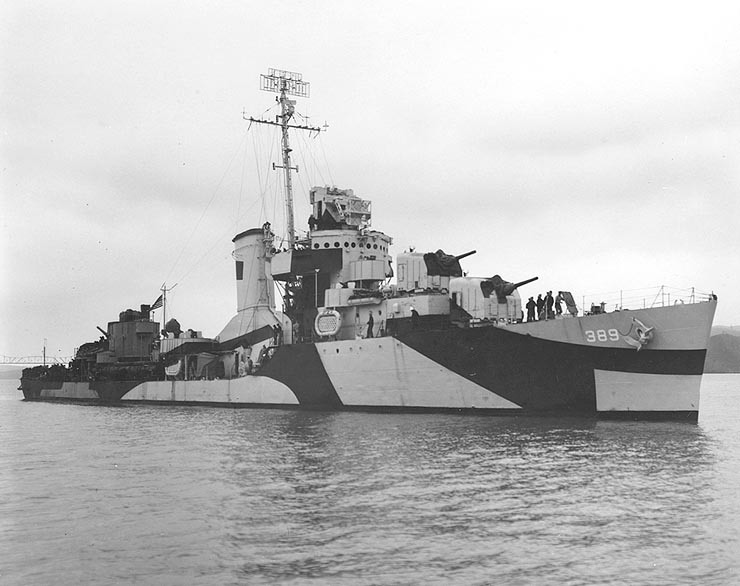 The Israeli assault on the USS Liberty was meant to sink the ship and kill all of the crew. Understanding the truth about what happened to the Liberty is essential to grasp the nature of the Zionist state and its treachery against the United States. There are people who refuse to accept clear-cut evidence of Israeli involvement in the false-flag terrorism of 9/11 simply because it does not fit with the image they have in their mind of the Zionist state of Israel. The idea that the Israeli military would plan and carry out a terrorist atrocity in the United States, killing thousands of innocent people, in order to trick Americans into supporting the Israeli war agenda known as the War on Terror does not comport with their naïve beliefs about Israel, so they reject the evidence and the facts. "ISRAEL WOULD NOT DO SUCH A THING"
Israelis have attacked America before, on several occasions, with the intention of having the crime blamed on their enemies. Forty-nine years ago, on June 8, 1967, the Israeli military launched a murderous attack on a U.S. Navy vessel, U.S.S. Liberty, killing 34 men and wounding 171. I wrote about the Israeli attack on the U.S.S. Liberty in “America the Target,” the third chapter of Solving 9-11: The Deception that Changed the World to give the reader some idea of Israel’s history of treachery and false-flag terrorism against the United States. Many American Zionists, Jew and Gentile alike, will comfort themselves with the false narrative about the U.S.S. Liberty accepting the Zionist lie that the Israeli attack was a case of mistaken identity. The historical evidence, however, proves that it was not, but that it was a blatant Israeli crime of mass murder and an act of war against the United States. 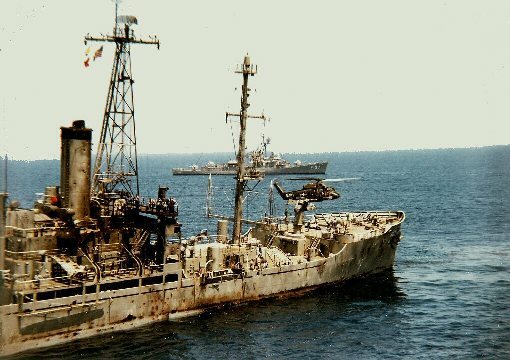 "SINK THE TARGET – NO SURVIVORS"
Lt. James M. Ennes, Jr., an officer on the bridge of the USS Liberty, wrote his first-hand account of the Israeli attack in a 1979 book entitled Assault on the Liberty. Lieutenant Ennes' book is documentary evidence that the Israeli attack was deliberate and not an accident of war. Ennes describes how Israeli torpedo boats repeatedly machine-gunned Libertysailors fighting the napalm fires on deck and shot her life rafts in the water while an oversize U.S. flag flew from its mast. The shooting of the life rafts indicates that the Israelis did not want anyone to survive the assault and intended sinking of the U.S. vessel. Steve Forslund, an intelligence analyst for the 544th Air Reconnaissance Technical Wing in 1967, saw the transcripts from the Israeli pilots and their ground control as they came off the teletype machine at Offutt Air Force Base in Omaha. "The ground control station stated that the target was American and for the aircraft to confirm it," Forslund recalled. "The aircraft did confirm the identity of the target as American, by the American flag. The ground control station ordered the aircraft to attack and sink the target and ensure they left no survivors." Forslund said he clearly recalled "the obvious frustration of the controller over the inability of the pilots to sink the target quickly and completely." "He kept insisting the mission had to sink the target, and was frustrated with the pilots' responses that it didn't sink." Israel’s murderous attack on the Liberty is not well known to many Americans because it is a piece of our history that has been suppressed for forty-nine years. Like the Israeli role in 9/11, information about the attack on the Liberty has been controlled in the three critical arenas: the investigation, interpretation, and litigation of the incident. In all three arenas the Zionist voice prevailed over the facts, testimonies of the survivors, and evidence. That the Israelis got away with murdering 34 Americans on the Liberty is largely due to the fact that a brutal Zionist agent named Lyndon B. Johnson occupied the White House at the time. Johnson actually re-called U.S. Navy jets, twice, that were sent to assist the stricken ship in international waters off the coast of Egypt. Johnson had earlier overseen the cover-up of the murder of President John F. Kennedy, so covering-up the Israeli war crime against the Liberty was easy for the treasonous president. Survivors of the Israeli assault on the Liberty have struggled valiantly for years to inform their fellow Americans about what happened on June 8, 1967, when they saw 34 of their shipmates murdered by Israel, America’s “friend and ally” in the Middle East. It is very important for all Americans to understand the truth about what happened to the Liberty so that they can grasp the reality of Israeli treachery against the United States. The Israeli attack on the Liberty reveals the true nature of the Zionist state, showing that it is clearly not a friend of America and that it has repeatedly committed acts of war and terrorism against the United States in its efforts to deceive Americans into supporting its criminal agenda in the Middle East. 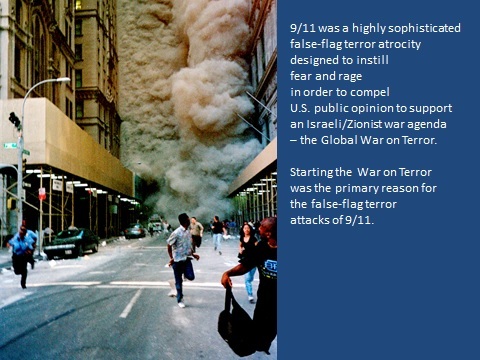 Understanding the criminal nature of the assault on the Liberty enables one to grasp how the Israeli military could conceive and carry out the crimes of 9/11 in order to advance the Global War on Terror, a Zionist war agenda to be waged by the United States. 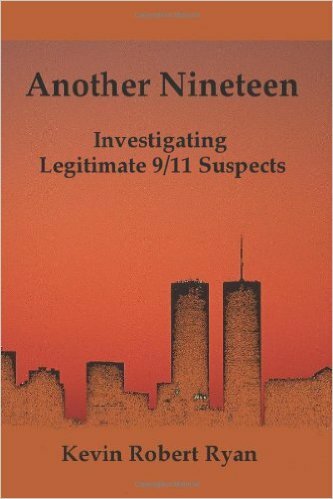 Kevin Ryan avoids the evidence of Israeli involvement in 9/11 in his book Another Nineteen. In my open letter to Ryan, I ask him why. During my recent tour I was often given books by friends and supporters. I have been busy reading them since I returned and just finished Another Nineteen: Investigating Legitimate 9/11 Suspects by Kevin Robert Ryan. Ryan fails to mention Israeli actors when they should be mentioned, and ignores the importance of the Israeli role when it is mentioned. When, for example, discussing the findings of the Congressional report on the Iran-Contra affair, Ryan wrote: "Hamilton's report mentioned that the missiles (for Iran) "were sold from Israeli stock with U.S. approval," but says nothing about what this means about the central role played by Israeli intelligence in arming Iran during the whole Iran-Contra affair. How can that be ignored? United Airlines contractor Huntleigh USA Corporation performed the screening of passengers related to Flight 175. Huntleigh was bought out in 1999 by the Israeli company ICTS International. That is all he says about the Mossad-run company that was headed by a convicted Israeli criminal from the Likud party named Menachem Atzmon. This blatant omission leaves the reader with the impression that ICTS is just another Israeli company. ICTS was, after all, the key defendant in the 9/11 tort litigation, in which every case was settled out of court. Why does Kevin Ryan let the Israelis off the hook in his book? This is what I ask him in the following open letter. I just finished reading your book, which I perused very carefully. You present a lot of good information in this book as you provide your list of nineteen suspects. I think we agree on most things although it does seem that you go out of your way to avoid mentioning the many Israeli suspects. Michael Chertoff (an Israeli-American dual national), the Asst. Attorney General, who was the official responsible for investigating and prosecuting the 9/11 crimes, is not even mentioned in the book. As Asst. Attorney General, Michael Chertoff was responsible for the criminal investigation and prosecution of the 9/11 crimes. He oversaw the wholesale destruction of evidence and the F.B.I. 's non-investigation of the crime, which resulted in no prosecution. How can Chertoff not be a suspect in the 9/11 crime and cover-up? Question: Did you overlook Michael Chertoff or did you think his Israeli nationality and being a son of the Mossad agent Livia Eisen was not significant? Toward the end of the book you name three "countries that benefited" from the events of 9/11: Saudi Arabia, Kuwait, and the U.A.E. (p. 311-312), while completely omitting any mention of Israel. LIKE ZIONIST-OWNED CBS NEWS - Kevin Ryan tries to pin the blame for 9/11 on Saudi Arabia, Kuwait, and the U.A.E., claiming these three nations benefited from the crime, while exonerating Israel - whose leader openly admitted that Israel benefited from 9/11. If Saudi Arabia were truly involved in the planning of 9/11 why would they allow 15 Saudi nationals to be blamed as hijackers? Why would Arabs use their own nationals as patsies in a false-flag attack? Kevin, were you unaware of Netanyahu's comments or did you choose to omit them for another reason? Early on in the book you wrote: "Today, we don't have an alternative to the official conspiracy that spells out how the events of 9/11 could be the result of a conspiracy among insiders." Question: Does that mean that you have not read my Solving 9-11 research? 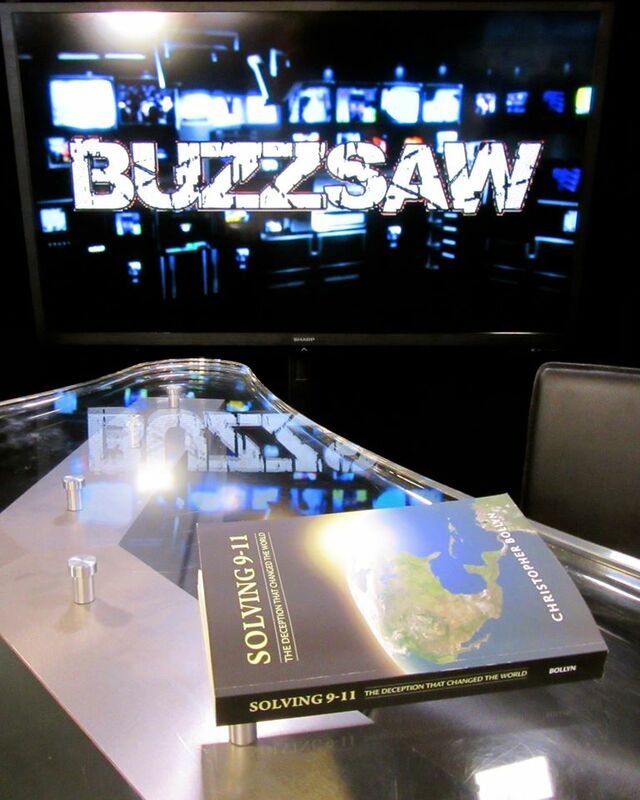 My Solving 9-11 books are, in fact, very much "an alternative to the official conspiracy" and were published in book form in early 2012 - one year before your book came out. The first edition of my book was published online years earlier. 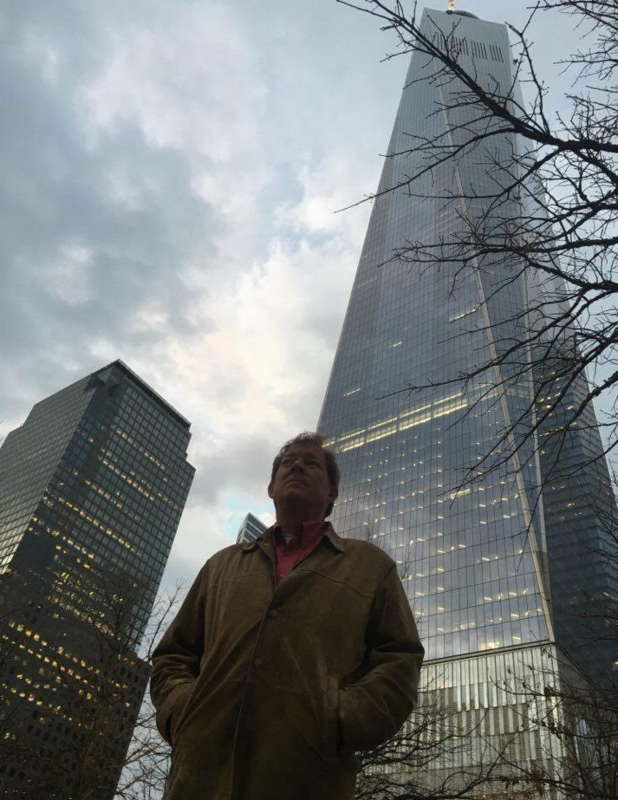 I have been writing about 9-11 since September 2001 and much of my Solving 9-11 research has been published online and in print since 2001. 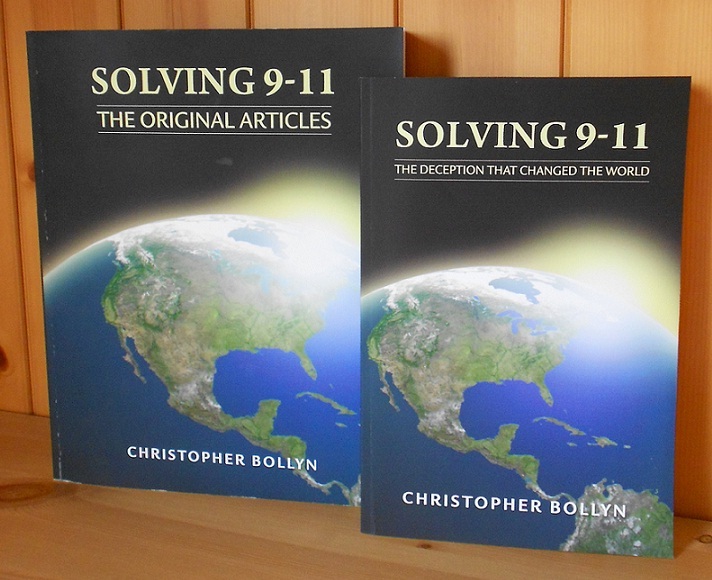 The Solving 9-11 books were published in 2012 and contain more than 10 years of Bollyn's original 9-11 research articles starting from September 2001. In your book, Israel is only listed three times in the index. On page 312, you wrote: "Israel has also been discussed in terms of the possibility that elements of its government were involved. Unfortunately, such claims are often made without supporting evidence and coherent reasoning." Do you really think the thesis of Israeli involvement in 9/11 lacks supporting evidence and coherent reasoning? The "60 Minutes" (CBS News) piece on the top-secret 28 pages about alleged Saudi involvement with two of the alleged hijackers opens the discussion about the false leads of 9/11. The following discussion is between me and Ken Jenkins, a founding member of the Northern California 9/11 Truth Alliance and others in that group, about the 28 pages and other false leads. A red herring is something that misleads or distracts from a relevant or important issue - like Israeli involvement in 9/11. In my opinion this [60 Minutes piece] is yet another Zionist ruse to lead the public into thinking that Saudi Arabia was behind the 9/11 atrocity and to play this up as much as possible during the presidential campaign. It is just another layer of deception being played by the Zionists seeking to deflect blame away from the Israelis and Zionists who, the evidence clearly shows, carried out the 9/11 atrocity and engineered the cover-up for the past 14 years. Well if it is a Zionist ruse, it’s a pretty lame one, because it will serve to open of the can of worms that shows that others were involved in 9/11 beyond the few currently accused. Any doubt about the official story is doubt that will lead to other doubts about other actors. No, the "28 pages" report is not a lame ruse at all; it is actually working very well. It seems to have tricked even you! If I may, I would like to point out several of the false leads that your email contains because this correspondence reaches some of the leading people in the Northern California 9/11 Truth Alliance. The CBS News program focused on the 28 pages that seem to show Saudi support for two of the alleged 9/11 hijackers. These pages have been classified for 13 years, so why is it that only now they are an issue for "60 Minutes" - after 13 years? Secondly, the two alleged hijackers, Niwaf al Hazmi and Khalid al Midhar were supposedly on American Airlines Flight 77, which supposedly hit the Pentagon - but there is absolutely no evidence that a large Boeing hit the Pentagon, so the discussion of the 28 pages only serves to support the official myth, which has already been proven false. WHAT PLANE? When I spoke in Oakland last year, Ken Jenkins requested that I not discuss the Pentagon because he said he was working on a film project with Jim Hoffman that would prove that a large passenger airliner had hit the Pentagon. Ken, I recall that the last time we met you said you were working on a film with Jim Hoffman that would prove that a large airplane hit the Pentagon. That was the reason you said that I had to remove the material about the Pentagon from my presentation in Oakland. I thought this was very odd, of course, for the 9/11 "truth group" who was hosting me to be censoring my presentation, but I removed the Pentagon slides in order not to offend you. By the way, is your film project with Jim Hoffman finished? 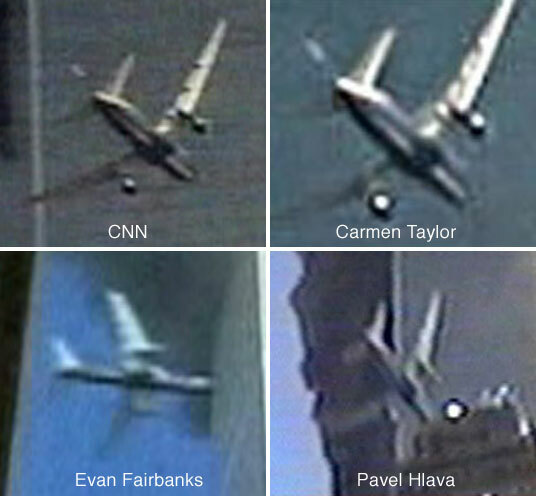 Do you still believe that Flight 77 or a similar Boeing airliner hit the Pentagon? I would be interested to see what evidence you have assembled to support the claim that a large Boeing hit the Pentagon. I would point out another false lead that is attached to your email about the 28 pages: that Stratesec was a major player in World Trade Center security on 9-11. Ken, this is simply NOT true. The company that played the key role in security for the WTC was Kroll, a company very closely tied to the Mossadniks and Israeli military brass who pulled off 9-11. Kroll were responsible for revamping security at the World Trade Center after the 1993 World Trade Center bombing... Just prior to the September 11 attacks, Kroll Inc., with the guidance of Jerome Hauer, at the time the Managing director of their Crisis and Consulting Management Group, hired former FBI special investigator John P. O'Neill, who specialized in the Al-Qaeda network held responsible for the 1993 bombing, to head the security at the WTC complex. O'Neill died in the attacks. In reality, Kroll was the company that played the key role in WTC security (since 1993), along with the Port Authority police. The claim that Stratesec was somehow involved in security at the WTC in the run-up to 9-11 is simply FALSE. 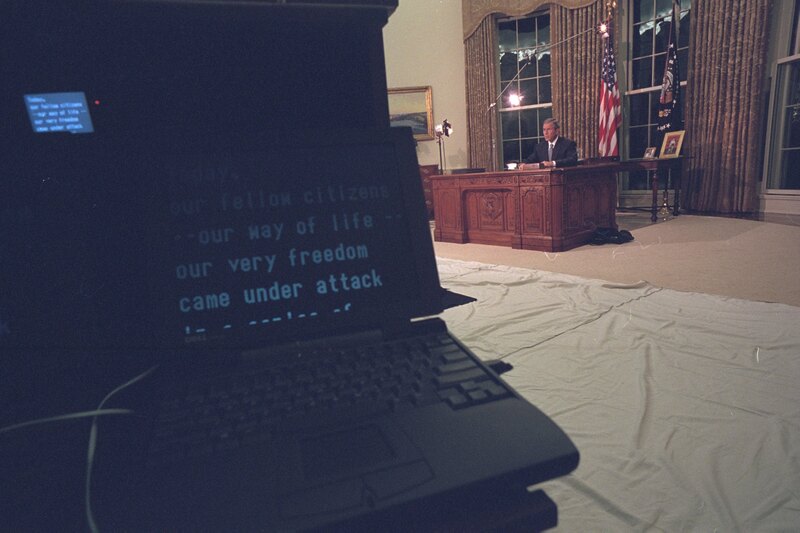 Securacom/Stratesec was "excused from the project" in 1998. TIES TO THE TWIN TOWERS—Securacom, beginning with its previous incarnation, Stratesec, unlike many other security firms, did not separate security consulting from providing security services. As a single-source provider of end-to-end security services, it offered everything from a diagnosis of existing systems, to hiring subcontractors, and to installing video and electronic equipment. It also offered armored vehicles and security guards. The company emphasized continuing relationships with a few big long-term clients, including the World Trade Center, home to the Twin Towers. According to SEC filings, the World Trade Center and the Metropolitan Washington Airports Authority, were two of the company’s three biggest clients in 1996 and 1997. After the first attack on the World Trade Center, in 1993, the Port Authority of New York and New Jersey began a multimillion-dollar, multiyear revamping of security in and around the Twin Towers. As Burns and Roe Securacom, the company had previously done security studies on the World Trade Center. Securacom was hired along with many other contractors for the upgrade and was praised in security industry publications, although the board membership of former President Bush’s son Marvin went unnoticed. NO COMMENT—Marvin Bush had joined Securacom’s board of directors in 1993, part of a new management team hired when Securacom separated from Burns and Roe, and he remained on the board through 1999. Securacom got the $8.3 million World Trade Center security contract in October 1996 and received about $9.2 million from the WTC job from 1996 (a quarter of its revenues that year) to 1998. But in 1998, the company was “excused from the project” because it could not fulfill the work, according to former manager Al Weinstein, and the electronic security work at the WTC was taken over by EJ Electric, a larger contractor. I hope this helps clarify a few points that we really do need to be correct about. My name is Christopher Bollyn. 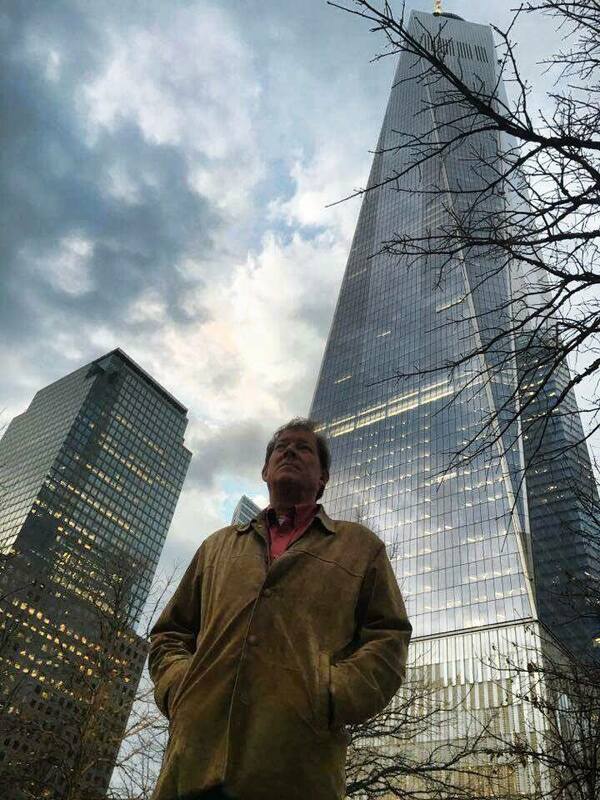 I am the author of Solving 9/11: The Deception that Changed the World. During my recent speaking tour across the United States, I was asked at every event about your position on 9/11 truth. The American people know that the government and media have covered-up the truth about 9/11. Many Americans sincerely hope a Trump presidency will help find the truth by carrying out a fully-fledged criminal investigation to determine who is really responsible for the terror atrocity. Currently, none of the presidential candidates has taken a position in support of finding the truth of what happened on September 11, 2001. The events of 9/11 profoundly changed this country and brought us the “War on Terror” with two costly and disastrous wars in Afghanistan and Iraq, but the candidates running for the highest office in the land won’t even discuss the event that took us to war. If you were to announce that, as president, you would carry out a complete criminal investigation of 9/11 you would certainly gain the support of millions more Americans. In the past month a U.S. judge in New York City ruled that Iran shared the blame in destroying the World Trade Center and ordered a fine on the Islamic state of $10.5 billion while “60 Minutes” recently reported that the 28 secret pages implicate Saudi Arabia as supporting alleged hijackers of 9/11. Such confusion can only exist in a situation where the truth is being covered-up. How can we go forward as a nation, crafting policies and waging war based on nothing but a pack of lies about what happened on 9/11? How can we make America great again if we allow our nation to be governed by lies? The 9/11 Commission members themselves have gone on record saying that government officials lied to the commission. John Farmer, for example, senior counsel to the commission, wrote: "What government and military officials told Congress, the Commission, the media, and the public about who knew what when was almost entirely, and inexplicably, untrue." The American people are demanding a proper criminal investigation into the events of 9/11 to determine who is truly responsible for the terror atrocity that changed the world and we have every right to expect that from our government. If you were to promise that a Trump presidency would carry out a complete criminal investigation into 9/11 you would inspire many Americans who have lost faith in the political process and gain support from a significant majority of the population. Mr. Trump, will you stand up for the truth and demand a proper criminal investigation into the events of 9/11? When we consider the "60 Minutes" report about the 28 top-secret pages about 9/11 that aired on CBS last night, we need to consider a few things: the source of the report, and its content. First, let's consider the content: The CBS News program focused on the 28 pages that seem to show Saudi support for two of the alleged 9/11 hijackers. These pages have been classified for 13 years, so why is it that only now they are an issue for "60 Minutes" - after 13 years? 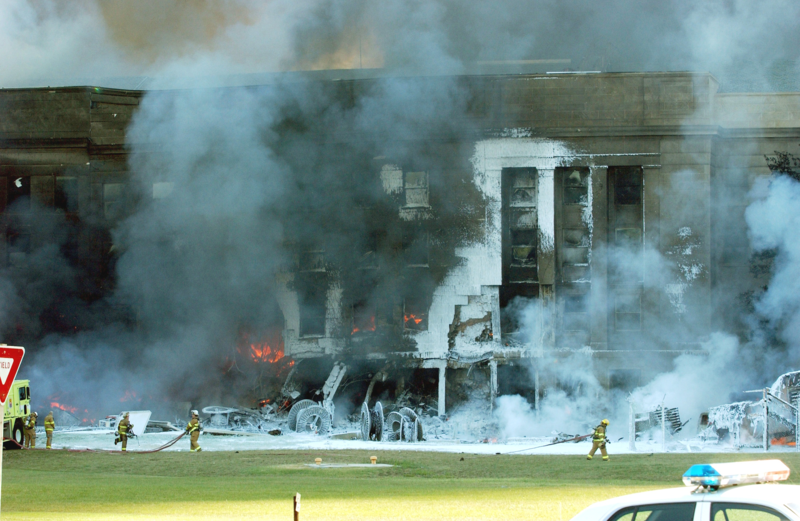 If Flight 77 really hit the Pentagon, which has a 3-foot thick exterior wall of concrete and masonry, why was there absolutely no evidence of an airplane to be seen at the scene of the alleged crash site? 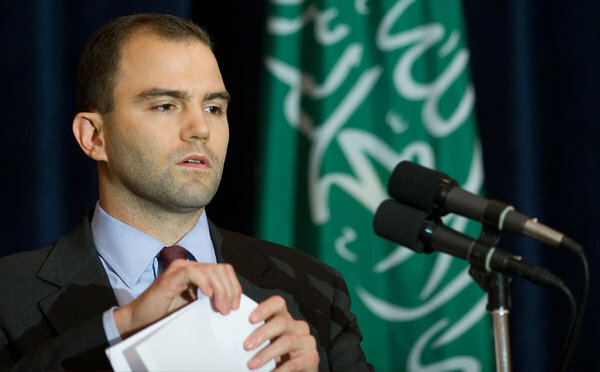 Thirdly, consider the source: "60 Minutes" is a product of CBS News, which is headed by David Rhodes, whose brother Ben is deputy national security adviser for strategic communication for President Obama. The Rhodes boys are dedicated Zionists, the sons of a Jewish mother, Jane Janover Rhodes. 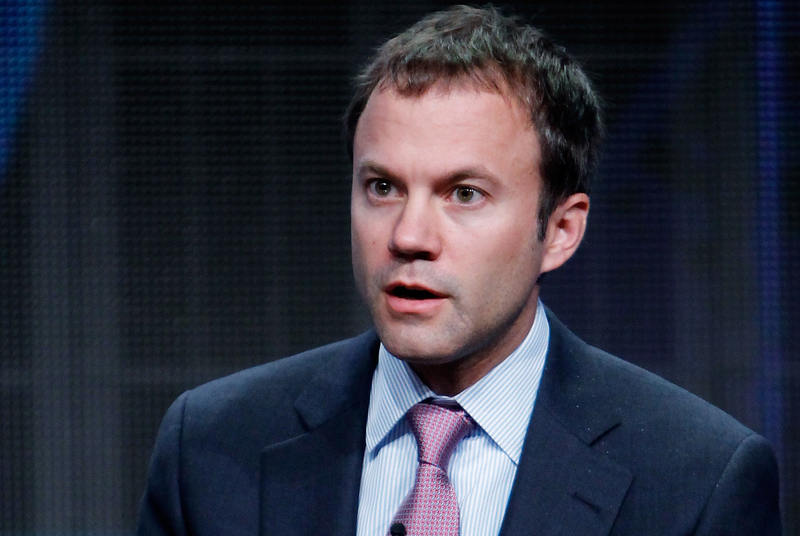 David Rhodes came up through FOX News, a news editor working for Rupert Murdoch - the Rothschild-produced media mogul. ...while brother Ben was deputy national security adviser for President Barack Obama. What a team. and he understands Israeli history very well. He has been and can be an enormous asset for Israel. He believes in Zionism. happy to go around the world and defend Israel and Zionism. The parent company of CBS News is CBS Corp., which is headed by Leslie Moonves, the great-nephew of David Ben Gurion, the founding father and first prime minister of Israel. A closer connection to the Zionist state of Israel would be hard to imagine. 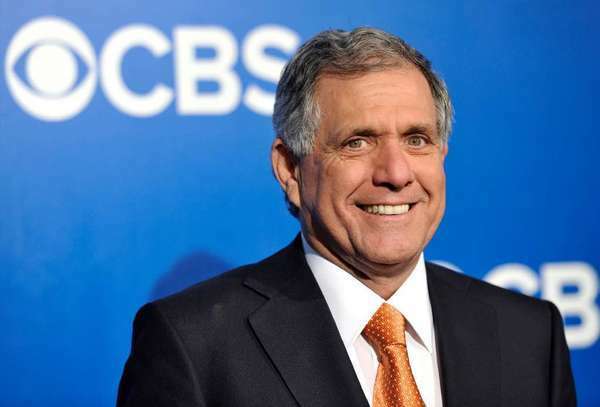 The president and CEO of CBS Corp. is Leslie Moonves, the grand-nephew of David Ben-Gurion. What a small world. So, why are the Zionists coming out now, demanding that these 28 pages be released, 13 years after they were classified? In my opinion this is yet another Zionist ruse to lead the public into thinking that Saudi Arabia was behind the 9/11 atrocity and to play this up as much as possible during the presidential campaign. It is just another layer of deception being played by the Zionists seeking to deflect blame away from the Israelis and Zionists who, the evidence clearly shows, carried out the 9/11 atrocity and engineered the cover-up for the past 14 years. 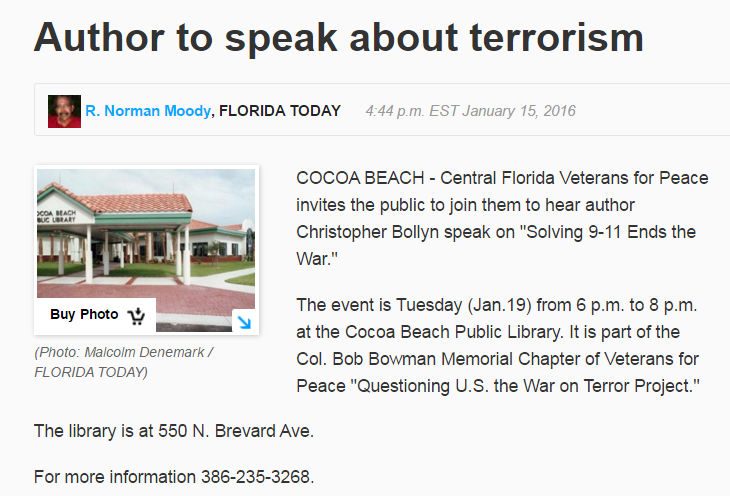 Florida Today, part of the USA Today network, published an announcement of Christopher Bollyn's upcoming event at the Cocoa Beach Public Library. 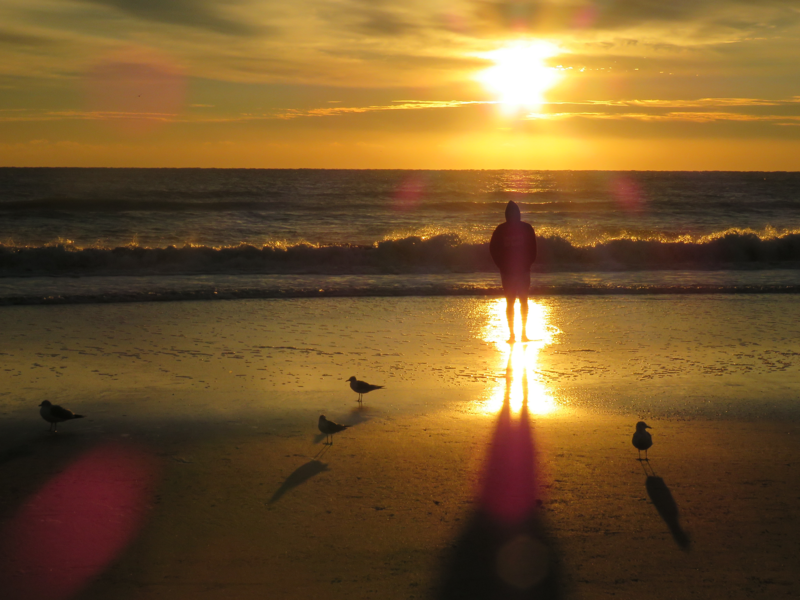 Tonight's event in Cocoa Beach is the final event in Florida on the "Solving 9-11 Ends the War" tour. All of the events in the Sunshine State have been held in public libraries, where Americans exercise their freedoms of speech, press, and assembly. 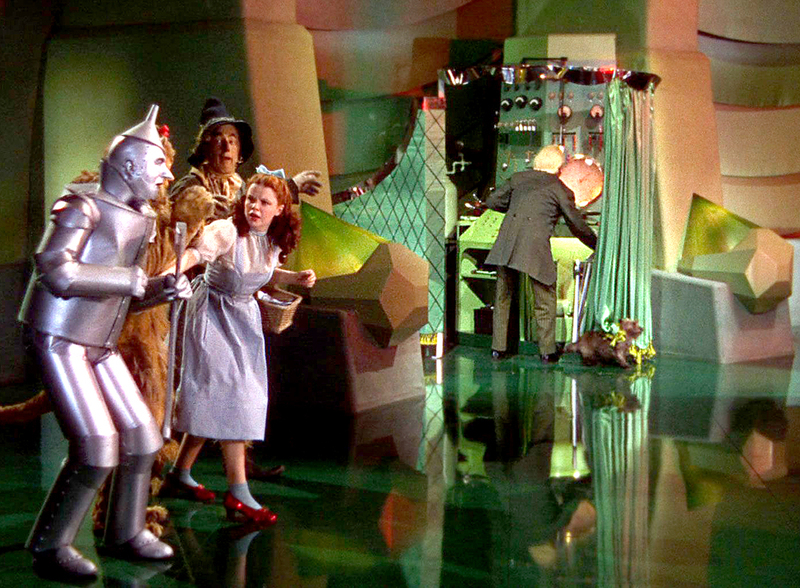 The characters in the Wizard of Oz were cured of their confusion and fears when Toto, Dorothy's little dog, pulled back the curtain revealing the wizard behind the machinations of deception that oppressed them. Life in America has changed profoundly since 9-11. The relationship between the citizen and the state suddenly became one in which normal people were made to feel like terror suspects - and treated accordingly. The spirit of the times, the Zeitgeist of the “War on Terror,” is dark and foreboding and has cast a dismal pall of gloom over our lives. People are worried and smile less as they contemplate the latest global threat pushed by the media with fearful apprehension. But what if what we were told about 9-11 is simply not true? What if we have been deceived about what really happened? What would it mean if the seminal event that brought us the “War on Terror” were shown to be a gigantic hoax? If we have been lied to about 9-11 then the “War on Terror” is nothing but a massive fraud, through which we have been tricked into fighting wars that are none of our business. Our national treasury has been plundered and countless lives have been lost as a result. The worst thing is that there seems to be no end in sight to the madness. Christopher Bollyn’s presentation, “Solving 9-11 Ends the War,” offers a different perspective and hope for a better future. An investigative journalist, Bollyn has investigated the events of 9-11 since 2001 and his research proves that we have been deceived – and reveals who is behind the deception. Understanding the deception and the network behind it is the essential first step to restoring sanity to our lives and nation. Bollyn’s research and presentation will help you become disabused of the deceptions and phantoms of 9-11 and the "War on Terror." Come hear what he has to say; your fear is all you have to lose. 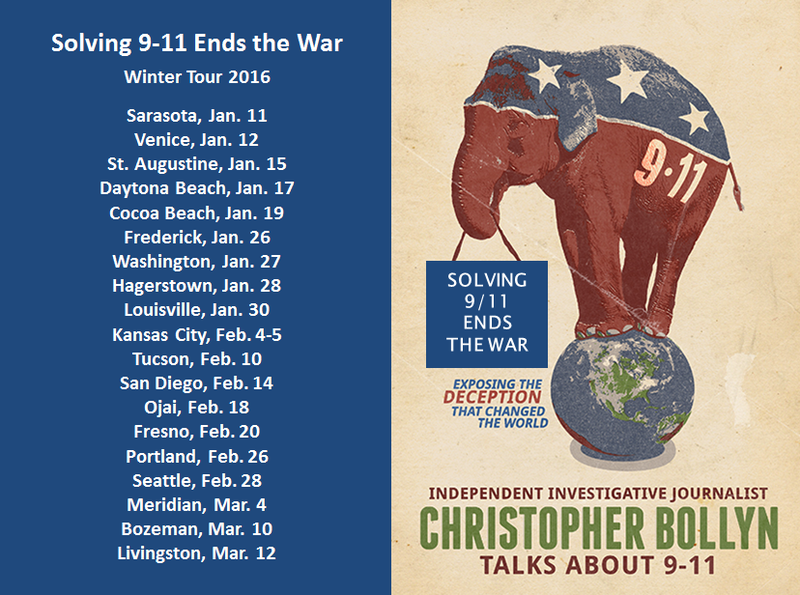 Christopher Bollyn's "Solving 9-11 Ends the War" tour begins next week in Florida.